It all comes down to this last ‘Dead Island’ post. After two hours of single-player action and two sessions of co-op (amounting to twelve hours of gameplay), my co-op group hasn’t finished the game. Will I buy ‘Dead Island’? Extend my rental? Or bring that puppy back to the RedBox and hope that I get a coupon to rent a better game down the road? To be quite honest, especially after re-reading my first two posts, I’m really surprised at how I’m starting to come around on this game. Methinks this might be why developers don’t do demos very often, since even the retail versions of many games take a little bit to get going. Of course, the best games don’t need a demo and can get going right off the bat, but ‘Dead Island’ isn’t in that category. Regardless, some good strides and only a few medium-sizes steps back were experienced in this, my final review session. First things first, we really dove into the mighty sea that is “weapon modification” in ‘Dead Island’. 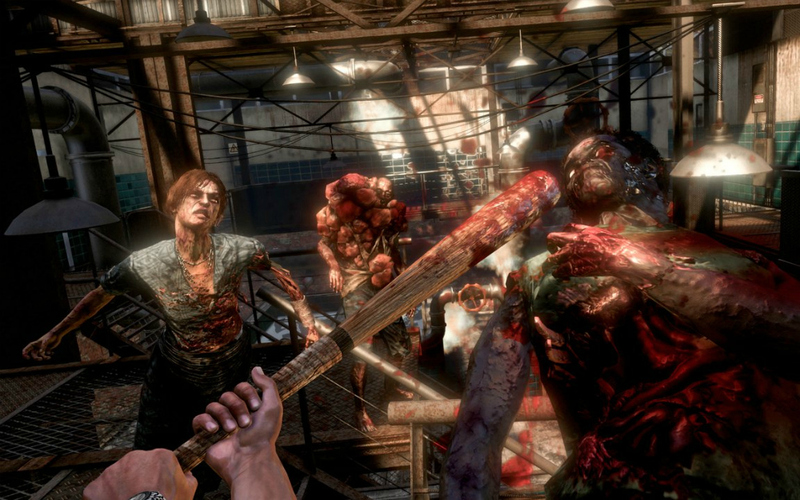 ‘Dead Rising’ did this, with ridiculous results, but in ‘Dead Island’ the combining of multiple discoverable items to make a super version of your weapon, or a completely new weapon, is much more reasonable and useful. From the electrically charged bladed weapon to the duct tape deodorant bottle bomb, any time we were able to mod a weapon, we did, and it often came in handy. I also liked the fact that Molotov cocktails weren’t just lying around; you have to make them. As my co-op team entered into Act II, by leaving the resort and hitting the town, things got significantly more dire and exciting. It started raining (of course) and zombies were everywhere. We even found our first firearms (pistols). Needless to say, things were looking up. Well, at least for those of us at the helm of our poor characters. Unfortunately, the “Ooh, it’s raining now and gonna get exciting” feeling quickly faded. Even though the atmosphere seemed to lend itself to a more enticing experience, the missions were still fairly humdrum. The section where you (SURPRISE!) go through a sewer was so unfrightening that everyone in my group commented on it. How do you mess up a zombie sewer scene? And the new “special infected”? I’m sure you’ve read, but I can confirm, that they are straight out of ‘Left 4 Dead’. There’s a Ram (Tank), a Floater (Boomer) and a few others that do basically similar things. Even the nods to other games are a little on the lame side, like the achievement entitled “Right 4 Life.” Ugh. We stopped after a large checkpoint, and the future of our ‘Dead Island’ career was discussed. So, what’s the final verdict? This is a tricky one. My two co-op pals said that this game had certainly grown on them, and that they were seriously considering buying it right now. I was a bit shocked until one seemed to come to his senses. He noted that there were a ton of great (sounding) and big titles coming out in the next few weeks and months (‘Gears of War 3’, ‘Rage’, ‘Halo: Anniversary’, ‘Uncharted 3’). These ought to hold our interests until ‘Dead Island’ goes on sale, or a cheap copy can be found on eBay or something. I would have to agree. I think I’d like to see how things wrap up for our heroes, and I sure would like to find that machine gun. I also have a few more mods that sound groovy, and I only got about nine achievements… OK, I’d say that, while the game’s parts are certainly sub-par, the overall experience is very amusing. When it goes on sale, and after I’ve played the above four other titles, I’ll seriously consider picking it up. The real take-away from your review and my experience as well is how great Redbox game rentals are (need to keep this under wraps so availability stays high). For a few bucks I can get the new hotness, get a taste, let the excitement wear down and wait for a cheaper copy if it is something that I will continue to play. Dead Island co-op is certainly something I want to play more of. I played about 2 hours SP and 2 hours co-op and they are completely different games. The SP is a slow paced survival horror type game, while the co-op game is a fast-paced throw my cares to the wind zombie kill-fest. I have never seen the tone change between SP and co-op as much in a game. I have enjoyed the posts on Dead Island; please keep up the game reviews, it is a nice addition to the site. The bottom line on Dead Island is that it is fun to play- you can play the same character in single player and in co-op with friends or with random online people, and have fun. Not a lot of games offer that. Thanks for your kind words Prayformojo! …and I’ll try to keep it down on the Redbox! 🙂 It was kind of weird having to wait a couple of days for the brand new game to filter into the boxes, but I’m glad I kept an eye on it. I’ll have to pay more attention during the next few big releases and see if that is generally the case. Thanks for the comment Brian! You are absolutely right, DI is fun…it’s just missing a bunch of little things/polish. I also agree that there isn’t a lot of games you can play the same character in w/all those modes, which is nice and something I’d like to see more of. 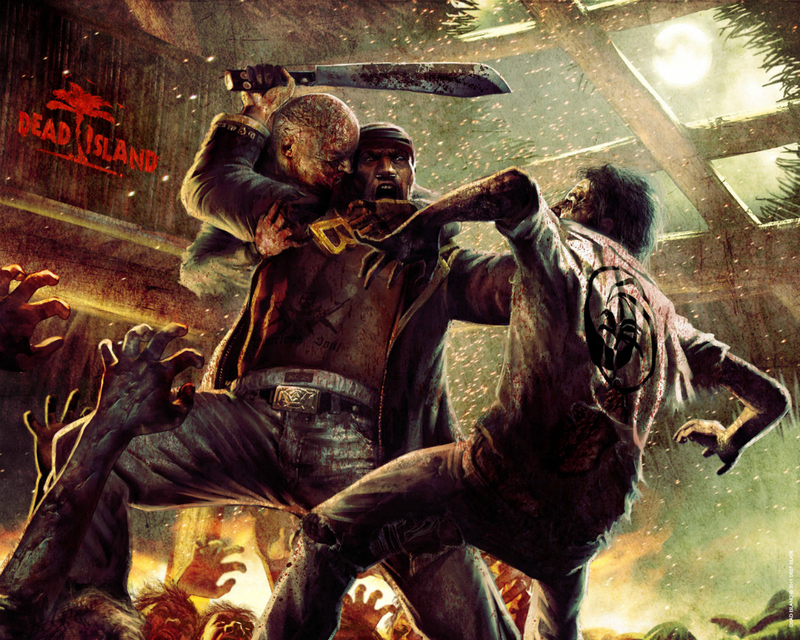 Dead Island is, in my opinion, the perfect zombie apocalypse game. I’ve noticed on various boards that most people REALLY complaining about it seem to be ps3 players. Maybe that version has more bugs, I’m not sure. I personally haven’t encountered anything to complain about at all on the 360. It hasn’t been the case before with Redbox, I had Deus Ex from them on day one, I think it was the number of releases on that day and maybe Labor Day as well. PS3 version apparently has been hit the worst with the glitches, hopefully everything gets resolved with the patching they are working on.